Habitat: Desert, Upland. 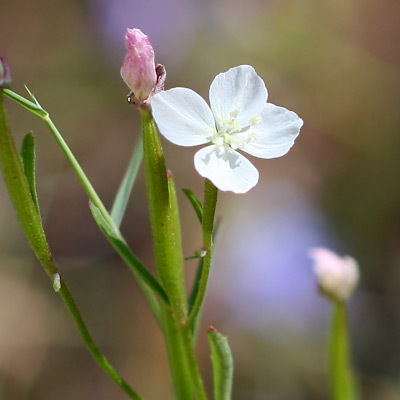 It grows in moist, shady canyons and is usually found on the least sunny side of the canyon. Description: The flowers turn pink as they age and have drooping flower buds, 4 egg-shaped petals, and 4 sepals that are often red in color. 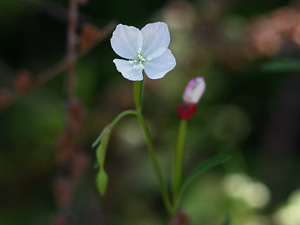 The flowers are followed by long, slender seed capsules. The leaves are green, alternate, and linear, narrowly lanceolate, or narrowly oblanceolate.